In April, during the presentation of its latest financial results, it was estimated that there would be four million Lumia phones on the market, accumulated from its staging last year. Of those who know sure that something more than one million correspond to the final months of 2011. 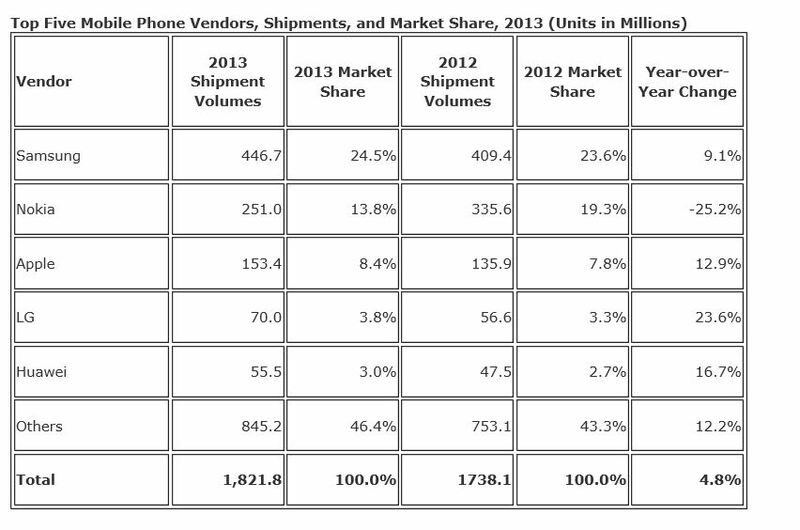 Today IDC share with us a report which estimated that in the first quarter “sold” 2.2 million phone Windows Phone. Sell the concept by IDC should interpret it as positions in the market, phones that do get to shops and usual distribution channels. If we take the how accurate estimation, Lumia phones represent an amount still small of all Smartphones sold by Nokia, a 12 million units in the quarter, according to official figures, mainly with operating system Symbian/Nokia Belle. In what I agree with IDC is that we should not be very critical of these three months, since the phone that best is behaving in the market is Nokia Lumia 900, and practically just come, or is coming to major markets. So the spring/summer months will be crucial to determine the success of the Windows Phone strategy. IDC optimist has always been with everything related to Windows Phone, in fact they maintain that in 2016, it will have more market share than iOS, and it will be placed as a second platform behind Android.